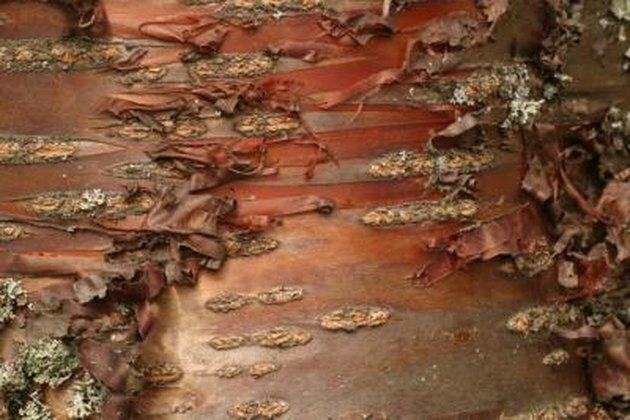 The river birch tree is known for its beautiful peeling bark that is generally cinnamon in color. Pruning is necessary for young river birch trees and for older ones at selective times to ensure adequate health. You can easily prune your river birch tree during the proper time with sufficient tools and the correct trimming method. Prune your river birch tree at the end of the spring season. Do not begin trimming if the birch trees have started growing leaves. Prune the following year if leaves or leaf buds are starting to grow. Pruning river birch trees any later will result in a great deal of sap loss. 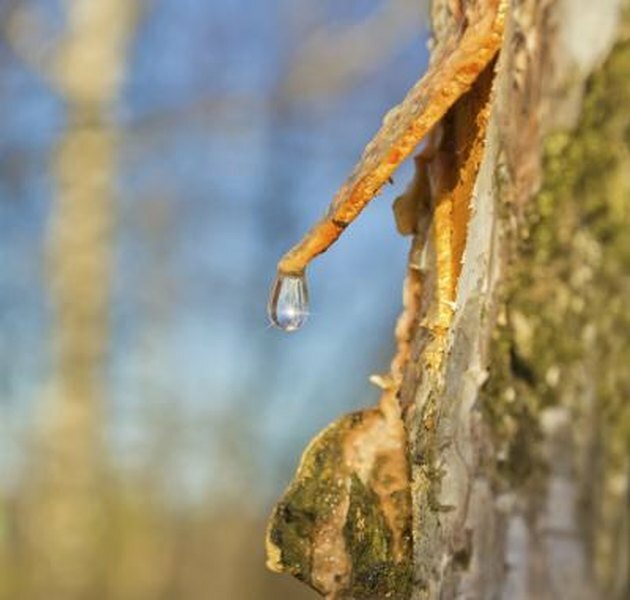 Sap is necessary for the health of your tree because it helps provide moisture and sugars to give it strength. Trimming at other times can cause a bleeding birch, requiring you to consistently water the trees daily due to continuous sap loss. Gather the necessary tools for pruning river birch trees. 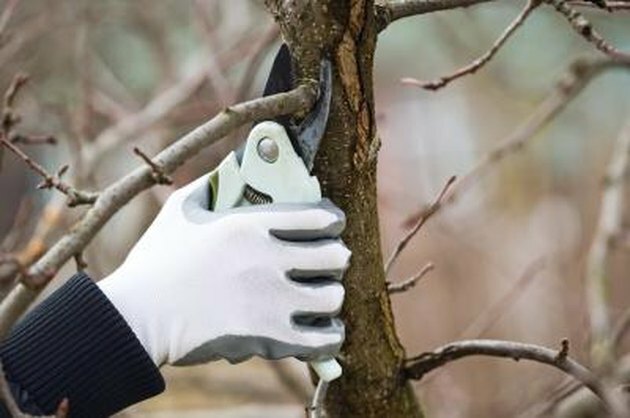 Select lopping shears for branches that are a few inches thick in diameter. 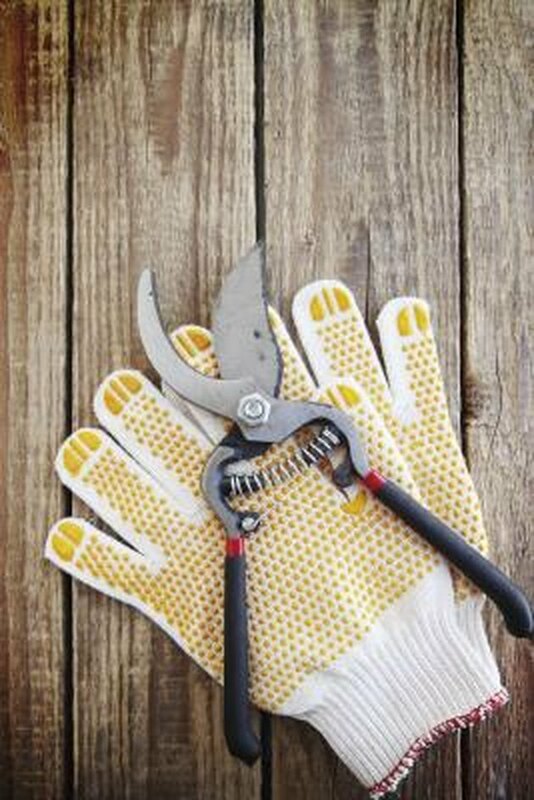 Choose pruning shears for branches that are less than an inch wide and use a tree handsaw or a pruning pole saw for removing large branches. For out-of-reach branches, you must use a ladder for safety. Use a black magic marker to make identifying branches easier before you start trimming branches on your river birch tree. Determine what river birch tree branches that you need to prune. Observe your tree for brittle branches that are dead, diseased or those that need to be thinned out due to an overabundance. Thinning out the branches on your river birch trees will open up their canopies and allow more sunlight for proper nutrients and reduce stress. Diseased and dead branches will appear to have large multiple patches of bark missing and look dull or dry. Never prune more than 20 percent of the river birch tree branches. Locate the collar on each branch of your river birch trees before pruning. The collar is located where the river birch tree branches grow out from the trunk and appears as a bulge. Mark the branch that you desire to prune 3 to 4 inches away from the trunk on your river birch trees with your marker. Make sure that you mark your line on the side of the bulge that is farthest away from your river birch tree trunk. Make a diagonal line that slightly slants away from the trunk to prune. Select the proper tool for your branch thickness for pruning your river birch tree. Notch the top of the branch and then make another notch underneath. Saw or cut the branch on the marked line. Based in Pennsylvania, Jayme Lee has been a freelance writer since 2007. Her articles have appeared for various online publishers and through private clients. She dual-majored in social studies education and business administration with a minor in history at the University of Pittsburgh and Edinboro University of Pennsylvania.